You know the drill. At the end of each year EngageSportMode likes to dish out hypothetical trophies made from macaroni and glitter. This year is no exception, other than 2015 featured a lot more new metal to be driven. Does it matter that we’re already into 2016? No, of course not. Sticking with our tried and tested formula, part one picks out which cars were most deserving of an ESM award over the last twelve months. This was tough. Seriously mind-bendingly tough. Having sampled so many great cars during 2015, trying to narrow it down to one was incredibly difficult. So why does the Leon Cupra ST win? For the simple reason that out of everything driven in the past year, it was the one which could fill the “all the car you’ll ever need” cliché with ease. That was our verdict after experiencing it at the SMMT Test Day earlier in the year. For starters, it’s an estate with a huge boot capable of holding some 587 litres with the seats up, swelling to 1,470 litres with them down. That’s a lot of room for all the lifestyle paraphernalia you might need to carry around with you. But, in the same breath, it’ll also hit 62 mph from a standing start in 6.1 seconds and power all the way to a 155 mph top speed. That’s kind of a big deal. There are a host of options to fiddle around with through the Driver Profile settings – include a sport mode, of course – and the 276 bhp 2.0-litre turbocharged engine makes a great noise when fully wound up. When you add 258 lb-ft of torque available from low down the rev range, sharp brakes, and accurate steering into the mix the Cupra ST becomes a convincing all-round package. Not to mention the fact it’s the fastest production estate car around the Nurburgring-Nordschleife, and can come in an ESM-pleasing black/orange colour combination. That you get all the above for under £30k just cements the Cupra ST as the best thing we drove all year. 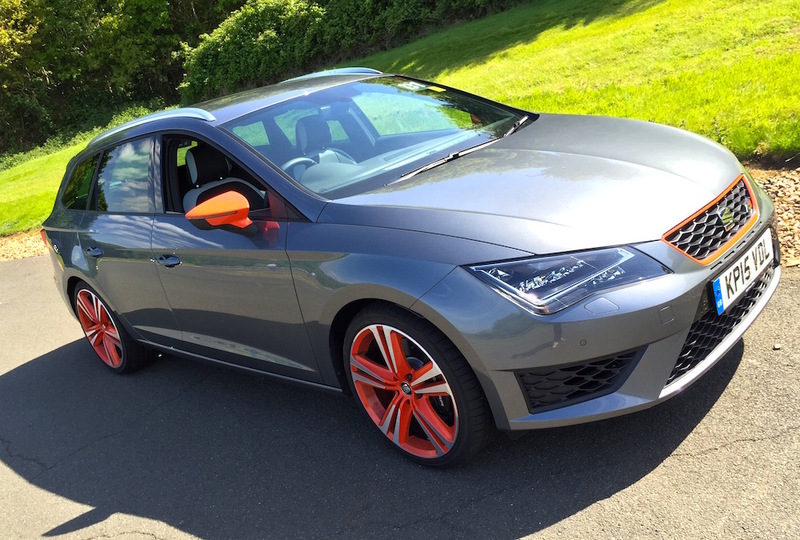 Well done SEAT for proving that 2015 wasn’t all doom and gloom for the Volkswagen Group. Concept cars are meant to be crazy. They’re meant to give glimpses of the future, whilst also letting the minds of designers run wild. It’s safe to say Bugatti easily fulfilled that brief with this creation at the Frankfurt Motor Show. With influences from a variety of the French marque’s greatest hits, and a substantial amount of carbon fibre and wings, the Vision Gran Turismo looked rather amazing. It’s also a rarity in being a concept you can drive, albeit in Gran Turismo rather than real life. 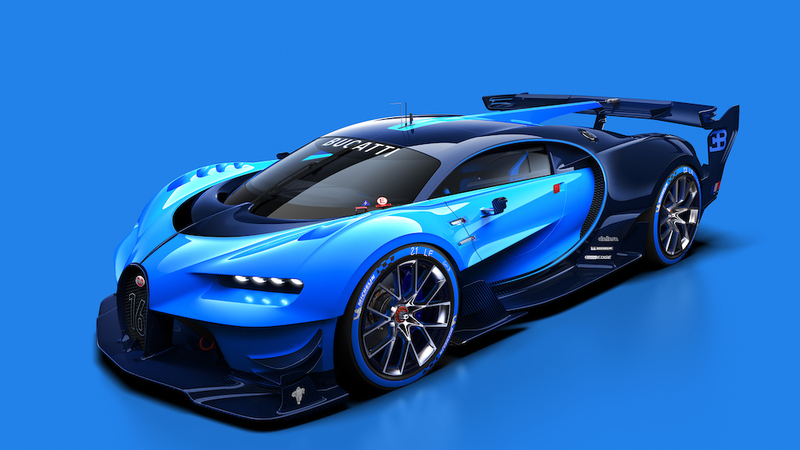 More important is that the styling cues point to the look of the forthcoming Chiron; Bugatti’s new supercar that will debut at the Geneva Motor Show in March. Hopefully it’ll prove to be just as dramatic as this concept version. Certain cars generate a great deal of hype and noise in the world of motoring journalism. The Citroen C4 Cactus is one of them. On paper the Cactus shouldn’t be a car beloved by car writers – it’s only a humble French crossover, with weird styling elements and money-saving shortcuts. But, somehow, the Cactus manages to be far more than the sum of its parts. ESM’s editor drove the Cactus at the SMMT North test event and found it to produce genuinely laugh-out-loud amusement. Although it might have only been packing a 1.6-litre diesel with 97 bhp, that was more than enough to tackle twisty backroads. It isn’t the last word in handling finesse, with the raised driving position exaggerating the body roll, but that doesn’t stop it from being fun to chuck about. 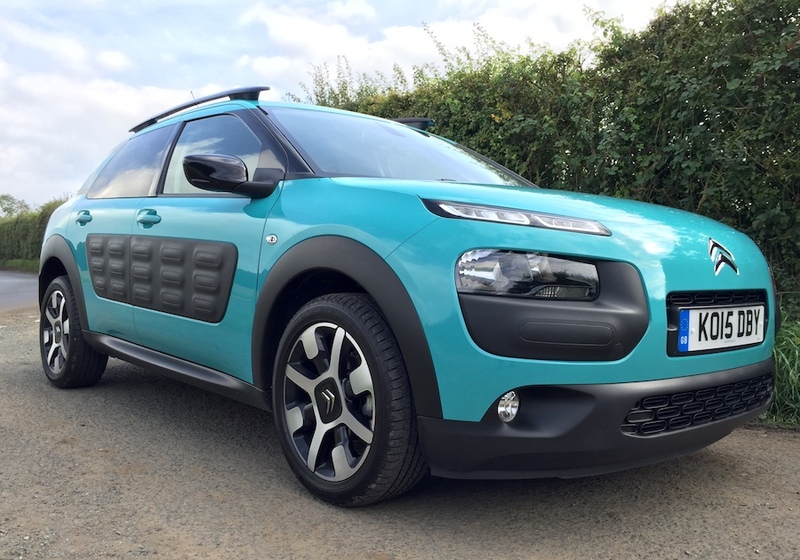 We’re converted – the C4 Cactus is one of those rare cars that lives up to the words written about it. If you’re brave enough to accept the slight left field randomness of it all, at less than £13,000 the Cactus represents a bargain-priced alternative to the Nissan Juke, with added enjoyment factor. America’s love affair with performance cars reached a new peak in 2015, with Ford unleashing a brace of new products at the Detroit Auto Show. But, next to the EcoBoost V6-powered GT and F-150 Raptor, was a very special version of the latest Mustang to wear the infamous Shelby badge. 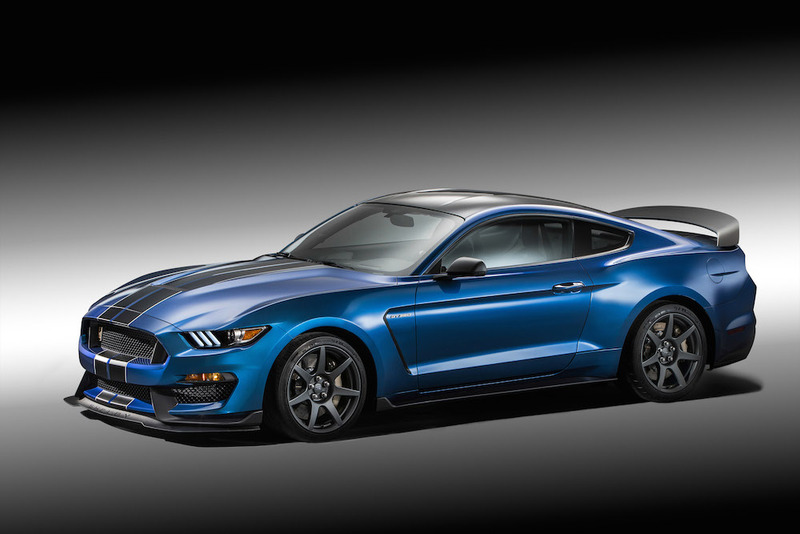 What sets the GT350R apart is a concentrated effort to make it as effective as possible on both race track and road. The wheels are made from carbon fibre in an effort to reduce unsprung weight, and are mated to sticky Michelin Sport Cup 2 tyres for circuit work. There’s also Brembo brakes, aluminium suspension bits, an unresonated (read loud) exhaust, and a bodykit that features more carbon goodness. Most important is the 5.2-litre V8 engine that features a flat plane crank, like a Ferrari. It’ll rev to a ridiculous 8,250rpm – also like an Italian sports car – and produces 526 bhp. Although that might not be the same headline grabbing figure as a Dodge Challenger Hellcat, the GT350R is more than just raw power. With motorsport-derived technology, it targets cars like the Porsche 911 GT3 as a precision weapon, rather than being something to just go sideways in. 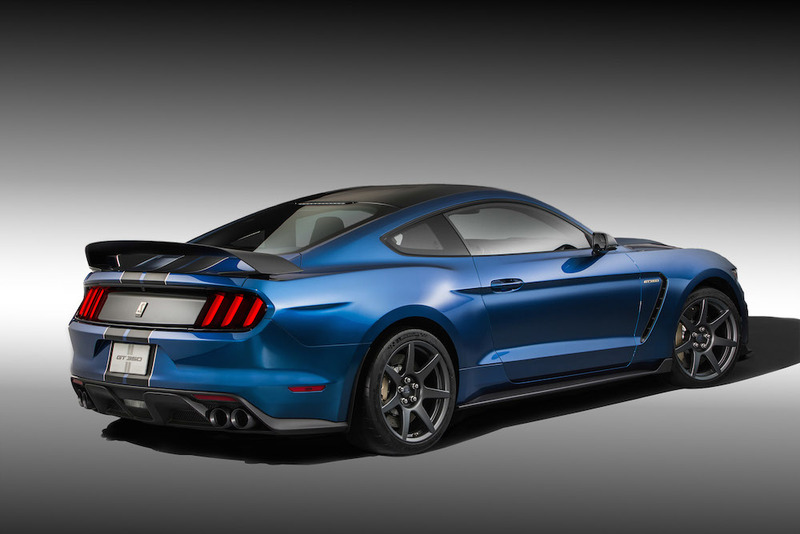 The GT350R is proof that Detroit can do serious. The crossover/SUV takeover continued in 2015, with more and more appearing on the market. Even for a performance orientated place like EngageSportMode the importance of these models is hard to ignore. It was Hyundai’s new C-segment Tucson SUV that stood above the pile for us this year. We say that with confidence, as we got to drive it on the UK launch, and experience it for seven days in the real world. 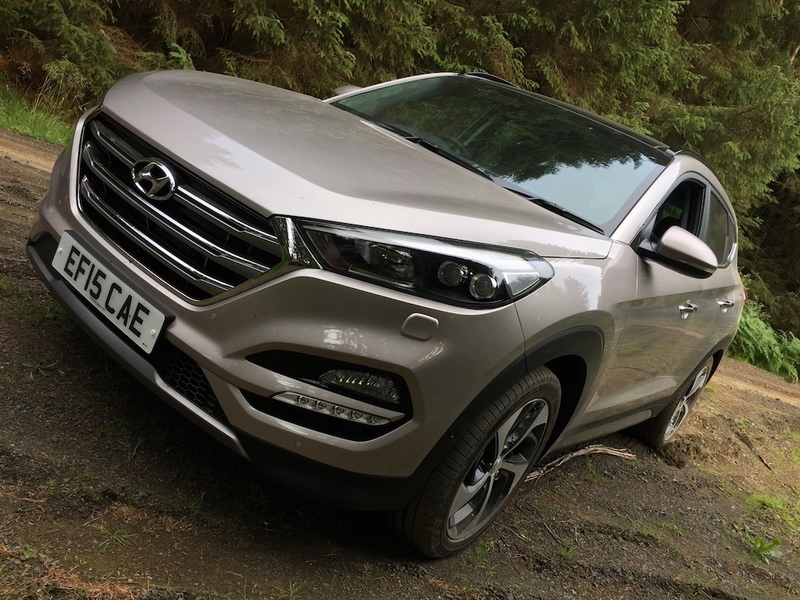 It’s proof of how far the Hyundai brand has come in a short period of time, combining a genuinely good-looking SUV with competitive pricing and generous standard specification. Our only criticisms after spending a week with it were a slightly lacklustre 1.7 CRDi diesel engine, and Ruby Wine red paintwork that didn’t show off the design elements to their fullest. In short, the Tucson proves to be a hero through having the ability to integrate seamlessly into everyday life, and proving that options other than the Nissan Qashqai exist. Just be sure to go for the 2.0-litre CRDi diesel option until the 700 bhp Bisimoto SEMA show car becomes a reality. Turbocharged straight-six engine? Check. Wide arches? Check. Smokey burnout launch control function? Definitely checked. 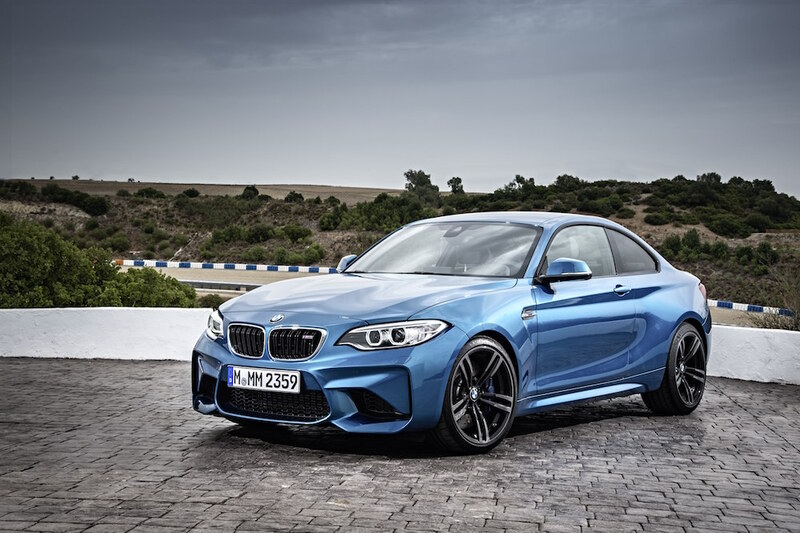 Three reasons why we’re so excited about the BMW M2 this year, and why it finished as Ned’s top new car of 2015. As the spiritual successor to the wondrous 1 Series M Coupé, the M2 has some big shoes to fill. But with 365 bhp, a manual gearbox, and rear-wheel drive we’re pretty confident it has the goods to live up to expectations. Oh, and in case you’re not convinced, just take a look at those wheel arches again; as beautiful as they are brutish. That’s all for part one, be sure to come back for part two soon.